Entry-level to Advance workflows. Learn at every level. 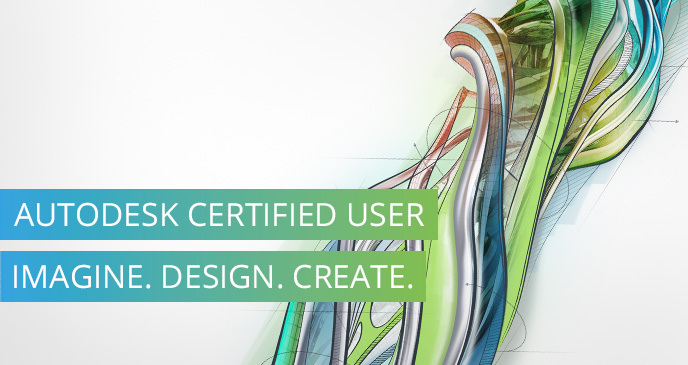 The Autodesk Certified User (ACU) certifications enhance student college applications and resumes, providing evidence of competency and proficiency. ACU certification is an excellent way for students with about 150 hours of real-world Autodesk software experience to validate their software skills. Earning User-level certifications while in school gives students confidence as they continue to master Autodesk products and pursue Professional-level certifications in the future. The Autodesk® Certified Professional (ACP) is designed for professionals and students who want to advance beyond the Autodesk Certified User. This credential is for those who possess more advanced skills and can solve complex challenges in workflow and design. ACP is the logical credential for advanced and professional Autodesk software users who possess at least 400 hours of real-world Autodesk software experience. Certification at the Professional level demonstrates a skill set that ensures certified individuals stand out as they pursue career advancement. Becoming an Autodesk Certified Professional can lead to accelerated career development, improved productivity, and enhanced credibility. Need help deciding which certification is right for you? View the difference between the two certification levels.